… but it might take some effort. 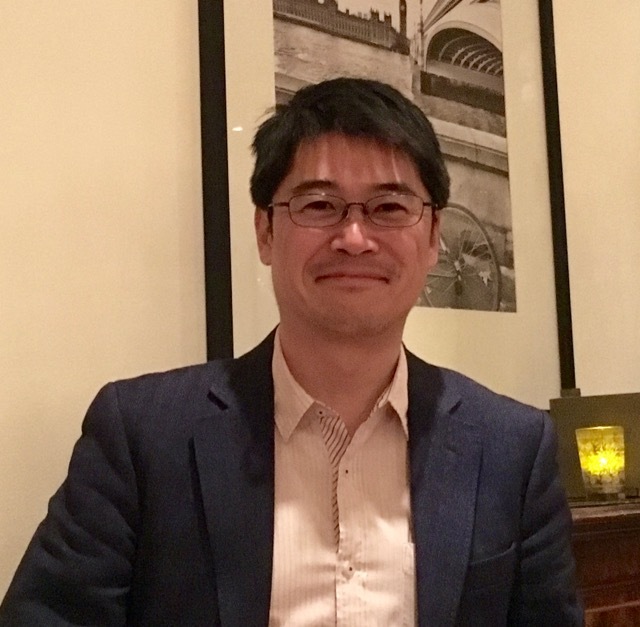 Here Katsuhiko (Katsu) Yoshikawa (4th year PhD candidate, Department of Management) shares his story about getting an academic job during his PhD study and makes some suggestions for people eager to make their life in academia. He received multiple job offers for lecturer/assistant professor positions and accepted one from Shanghai Jiao Tong University’s Antai College of Economics and Management. Katsu spent almost six months on his job search. I started my job search in early July, when I was still a 3rd year student. In my discipline, recruiters typically hold preliminary interviews at major conferences during the summer. It means you need to submit your application package as early as June and July. I was a bit late to recognise this, and thus it was such a rush to prepare relevant materials such as the CV, cover letter and reference letters. Fortunately, I had some interviews at summer conferences, and got some exposure to the job market. But after that, I had a long period of slump – I did not get any invitation for interview until September, while I sent a number of applications to universities. I reflect a lot about what I can sell, what universities are looking for and how I position myself. I think my success is largely owed to the reflection that I made during the period. Having a publication in a reasonably good journal seems to be a minimum condition. As the institutional environment (eg. REF, rankings) surrounding universities creates pressure for publication; they want someone who can actually publish. I have some doubts about the strong emphasis on publication in academia, but it is the reality that we need to face. In addition to proving that you can publish, you need to show you are ready to publish more in coming years. In any interviews, interviewers pay attention to not only my track record but also my pipeline for future publications. So, be prepared. It is not enough to say I have five studies – you’re better to say which journals you target for each study and when you aim to submit. Hence, it’s necessary you know major journals in your field and think about the fit between your studies and their tastes. Teaching matters. How important? It depends. But generally, people who interview you are thinking about the courses to which they need to assign someone. I think the breadth of teaching experience in terms of subject and target audience (UG, PG, and in my case, executive education) is probably more important than how much you teach. A wide portfolio increases the chance of fit between what you can teach and what they need to fill. PGCertHE is very helpful. If you are looking at the UK universities, it has a direct appeal. Even if you look at elsewhere, you sometimes need to submit a teaching statement, which summarises your teaching philosophy, approach and experience, and the PGCertHE helps you prepare for it. Job interviews typically come with a job talk – you present your work in front of faculty members (and sometimes PhDs), who are not necessarily in your specific field. Hence, it is very important that you know how to talk about your research to someone who doesn’t have much knowledge about the field, and how to professionally handle questions from your audience. The best way is to present your work at research seminars and conferences. I also recommend you to attend job talks at your department, and look at how the faculty members welcome (and grill) applicants. Think about how many reference letters you will need. In my discipline, schools generally asked for two or three letters, but one asked for four. As different universities have different priorities, you might want to have a portfolio of referees who can shed light into different aspects of your performance. For example, I had one referee who could write well about my teaching performance, and I submitted her reference letter to schools that seemed to emphasise teaching. An important point is that a referee should know you well and is willing to support your job application. Hence, you need to invest time and effort to develop such relationships beyond your supervisor(s) during your PhD. Job searching takes time. You need to learn how things work by looking at job postings and listening to more experienced people. Prepare a number of documents (CV, cover letter, research statement, teaching statement, diversity statement etc.) and tailor them to each school. In addition, you need to ask referees to write a nice letter for you. So I definitely recommend you to start thinking about the job search as early as possible. It is a good idea to learn the basic schedule of recruiting activities in your discipline so that you can plan your preparation accordingly. If you are in the 1st or 2nd year of your PhD, think about how to prepare things I described above. It takes time to get them ready, so I think it is vital that you consider your entire PhD as a preparation for the job market from the first day of your PhD. We have less time than PhDs in the US, so we need to use time more effectively in order to be competitive. Job market is called a ‘market’ because it matches buyers (ie. recruiters) and sellers (applicants). Recruiters evaluate you, but you also evaluate departments/universities. Each position has a set of unique requirements, and each department has their own priorities. You have various things to offer – research expertise, teaching experience and work experience outside academia (.g. in my case, consulting experience), but they can only work for you if they fit with what recruiters are looking for. This means you need to learn about the market – what kind of positions/departments/universities fit to you, and invent the way to position yourself in the market. In my case, I gradually recognised that I couldn’t fit well with departments with clear disciplinary focus, as I have multiple research streams that do not fit well into a specific sub-discipline in management (I never got an invitation for interview from such departments). I also recognised my consulting experience appeals to schools that emphasises MBA and executive education programmes from early interviews. I applied these findings to my job search approach, such as a selection of schools to apply, what I wrote in cover letters and what I said in interviews. This seems to have worked out. Why are you applying for this particular position and the institution? With whom in this department do you want to collaborate for research? Which courses do you want to teach? These are all questions that I was asked in interviews. I tried to answer these questions, referring to specific names and facts I found. It shows you have done your research, and thus you are serious about the job. Interviewers looked impressed when I demonstrated that I had knowledge about the department and its people, and that I had thought about how I could fit with them. In addition, I tried to persuade them that I could fit well with the department by responding to these questions with very specific answers. A discussion with a Careers Consultant can help you prepare for the academic job market and review your application documents in complete confidentiality. Book an appointment with our PhD Careers Consultant, Catherine Reynolds, at whatever stage you are in your PhD studies or early research career. Careers Events for PhD students run throughout the year and always include a range of options including both working in and outside academia. PhD students – in or outside academia? Can you have both?